Whether it’s your first time applying for a phone contract or you’re looking to upgrade to a better package, there are things you need to know and consider when choosing the best deal to suit your needs. With the plethora of phone deals available in the market, it is even harder to nail your phone contract decision. To help you along, we have created this quick guide to tell you everything you need to know about phone contracts. Phone contracts are the type of phone deals where the subscriber gets to choose a handset on top of the phone bundle plan. The bundle plan is inclusive of your call, text and data allowances. Most phone contracts come with a 24-month term wherein you must pay a fixed monthly fee to cover for your phone’s cost as well as your phone service usage each month. Click here for a more in depth discussion on phone contracts. There are hundreds of phone contract deals available in the market today, which essentially means phone contracts are for everyone who is eligible to apply for one. But it is especially suitable for heavy mobile users who want a new handset or a generous bundle plan. So long as you think that you can save money in the long run, applying for a phone contract rather than opting for a Pay As You Go deal makes perfect sense. The requirements when applying for a phone contract are simple and basic. You just need to be of legal age and a UK resident. You must also have good credit if you want a wider selection of handsets including the latest high-end smartphones and more generous bundle plans. 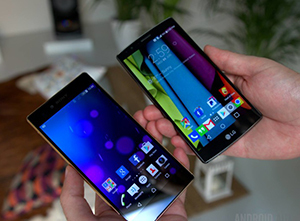 If you have bad credit and you want a phone contract, approval may be elusive but there are always bad credit mobile phone deals you can check for alternatives. Applicants are also required to provide proof of income in the form of your recent pay slips, which your provider will consider when assessing your phone contract applications. Other documents you’ll need to prepare include IDs with photo and proof of billing address. For majority of subscribers,phone contracts are attractive because of the free handset included in the deal. If you want a new handset and you can’t afford to buy it upfront, a suitable phone contract will let you get the same phone by paying for it through the fixed monthly fee of your contract. In essence, it’s like buying the phone on installment basis. Aside from the handset, you also get a bundle on your call, text and data as part of the package. Considering the offers included in a phone contract, you should opt for this type of phone deal if you know that you can afford the monthly fee. Otherwise, you may only be putting your finances and credit rating at risks. A phone contract is also an excellent option if you know that your plan is perfectly suited for your needs because this translates to huge savings in the long run.